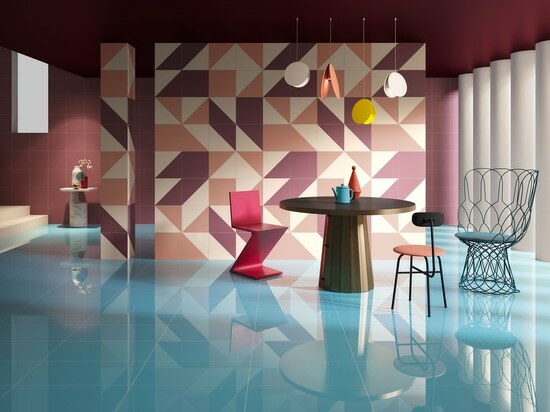 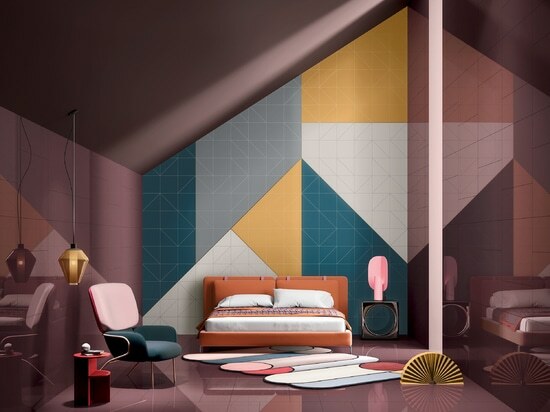 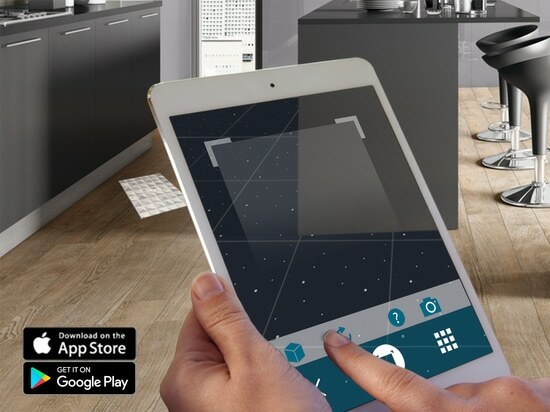 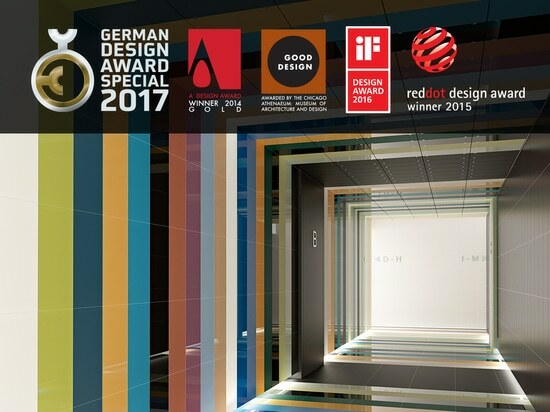 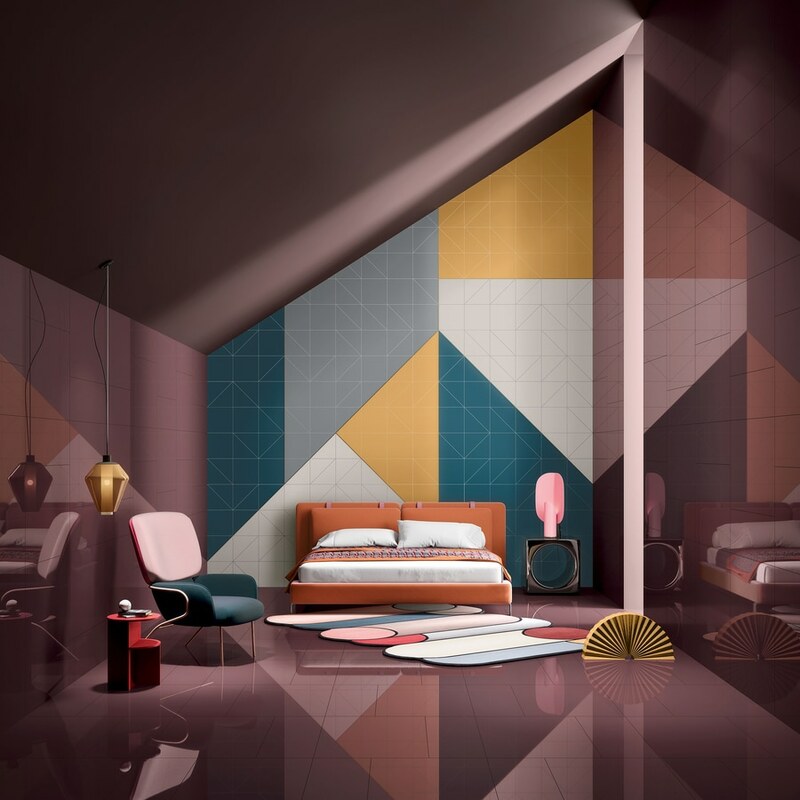 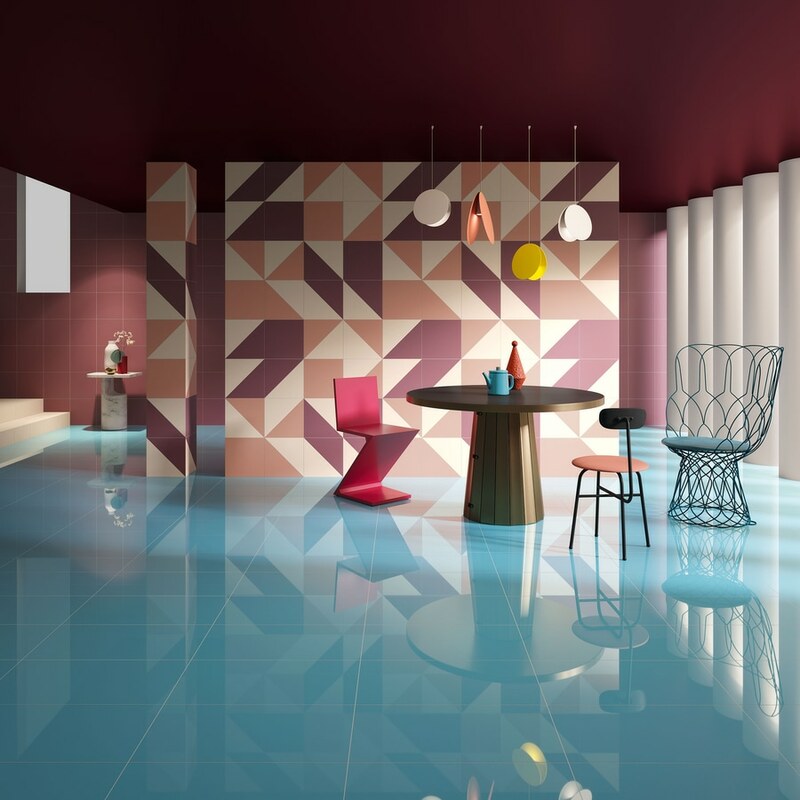 The new special formats, Chevron, Half, Trio and Cube, which are cut out of the standard formats, allow you to get carried away by your imagination and design modern, original and customised environments. 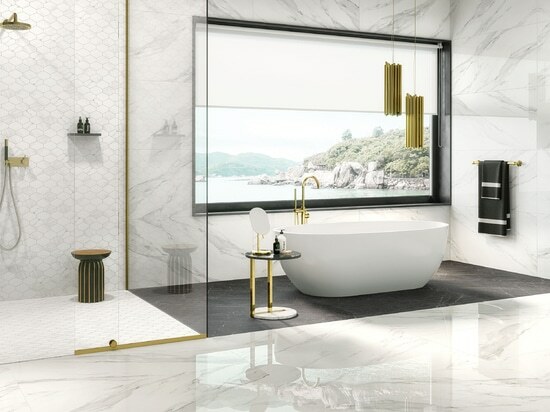 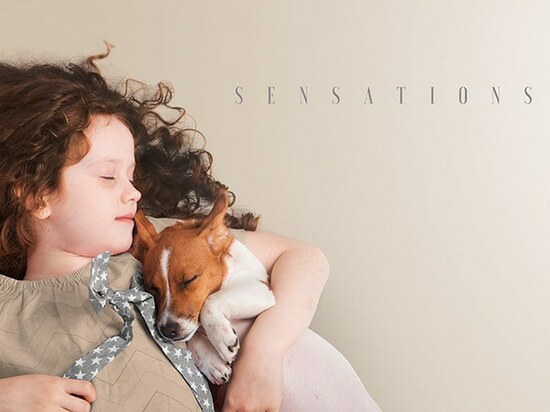 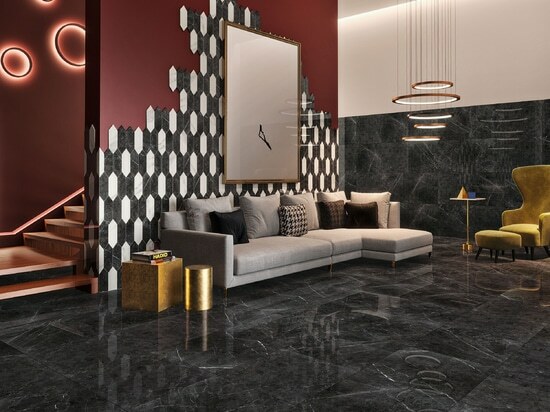 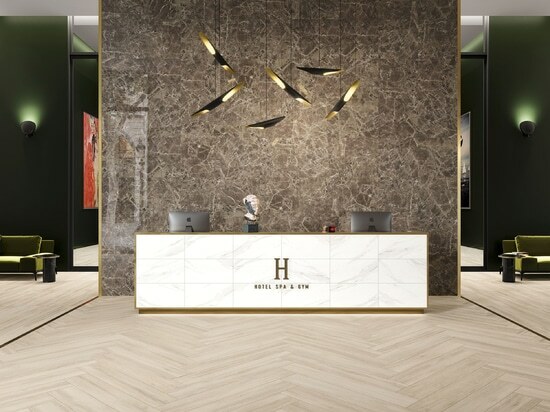 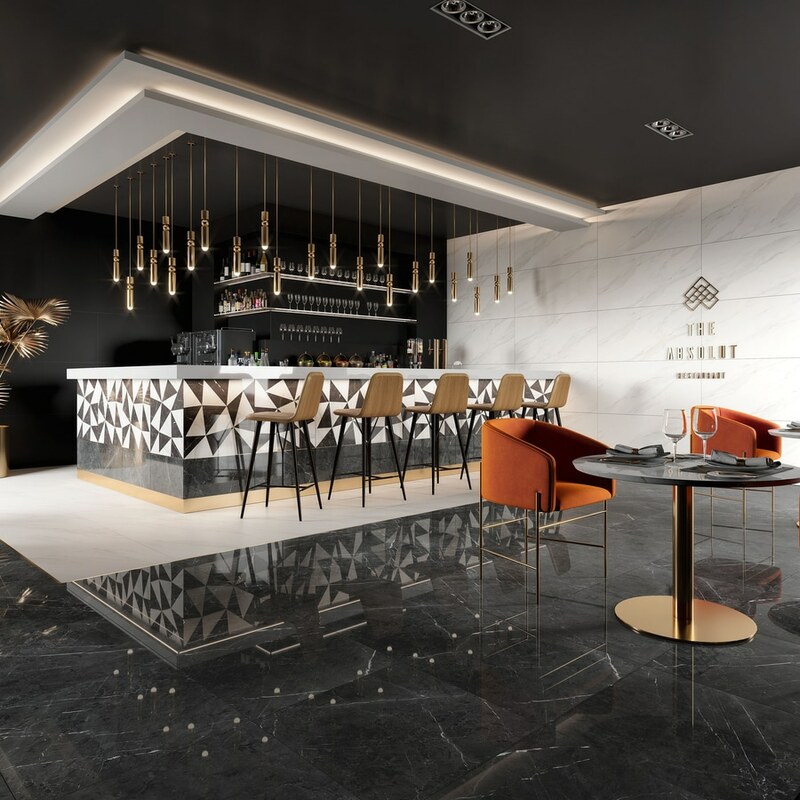 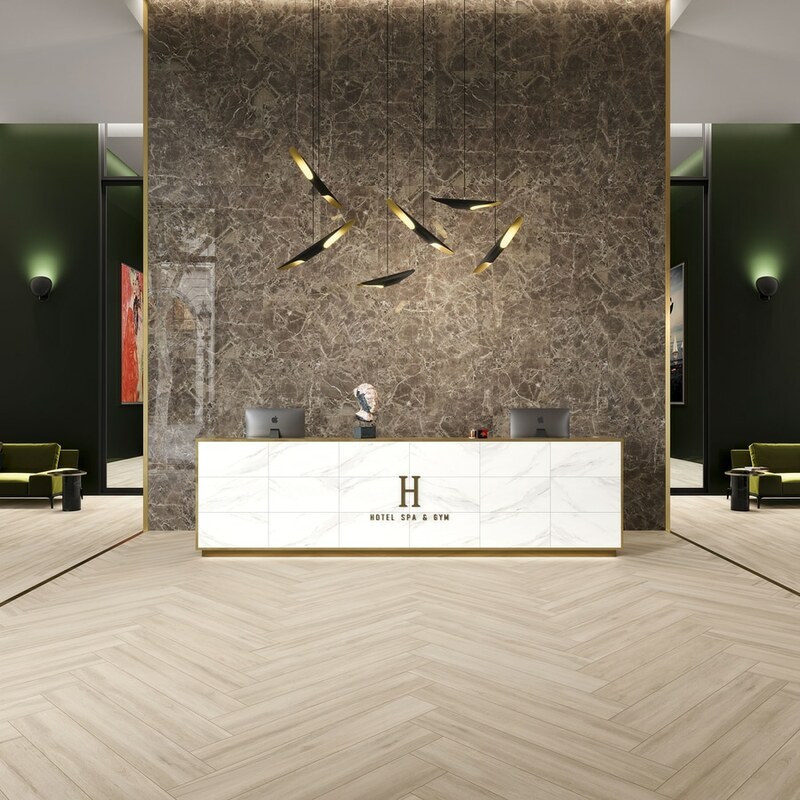 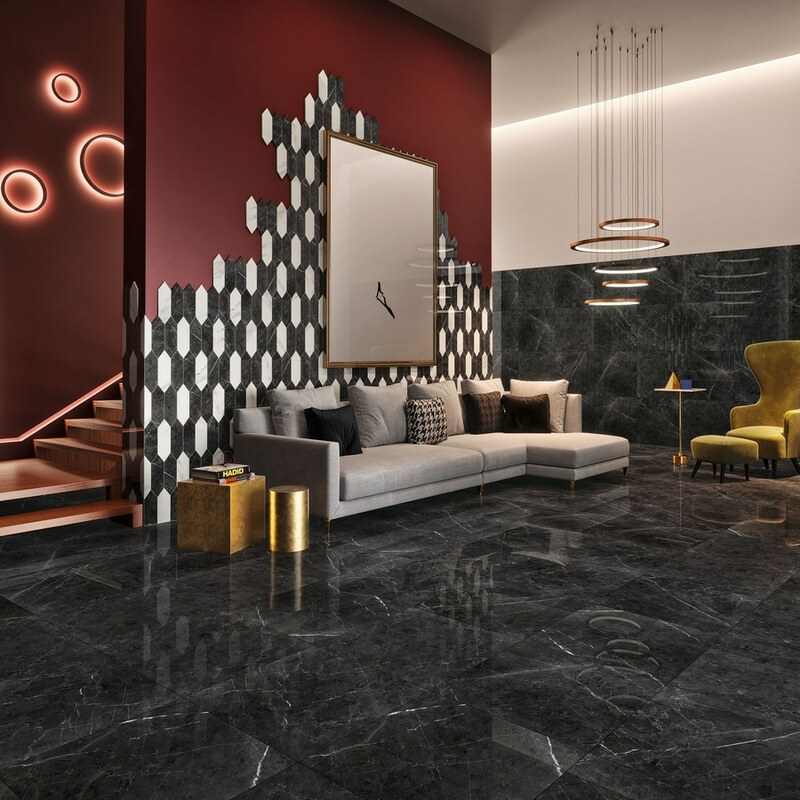 The timeless effect of marble will also be highlighted, through the Absolut Black, Emperador Brown and Statuario White collections, available in 4 sizes: 30x60, 60x60, 60x120 and 90x90cm. 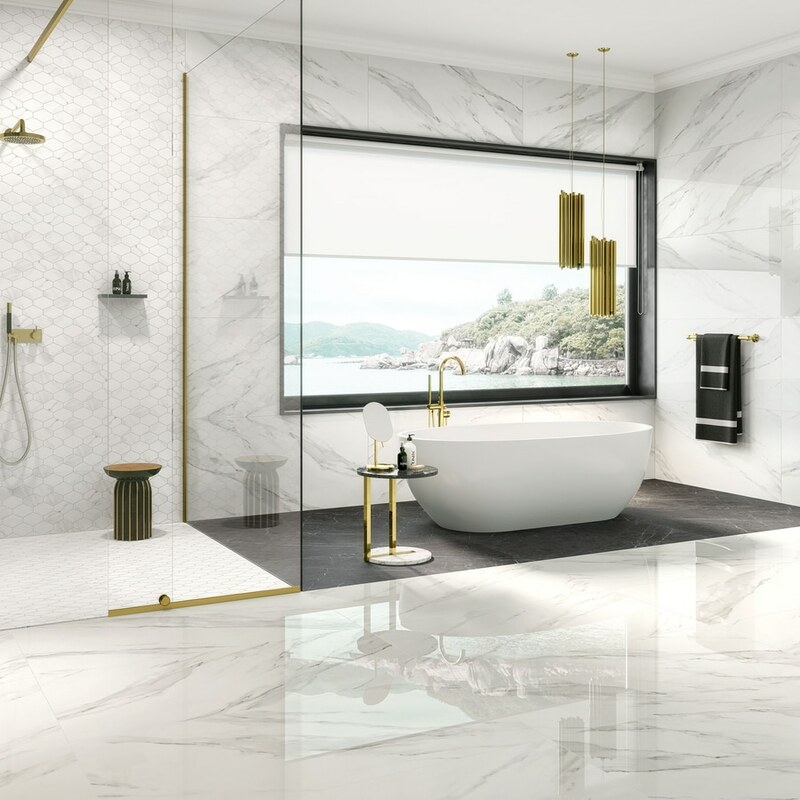 Statuario White: The purity of the natural materials are reflected in ceramic tiles that allow you to create exclusive environments. 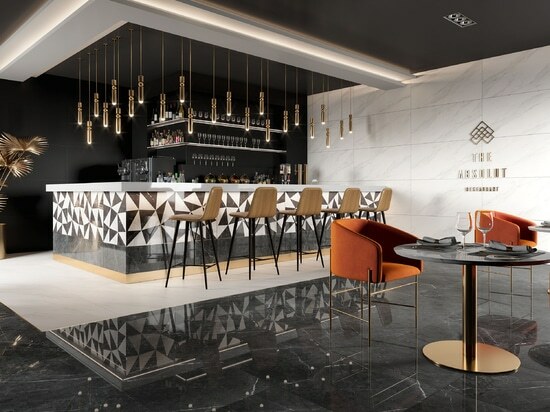 Absolut Black: The depth of the color black combined with the delicate white veins create environments with a unique elegance. 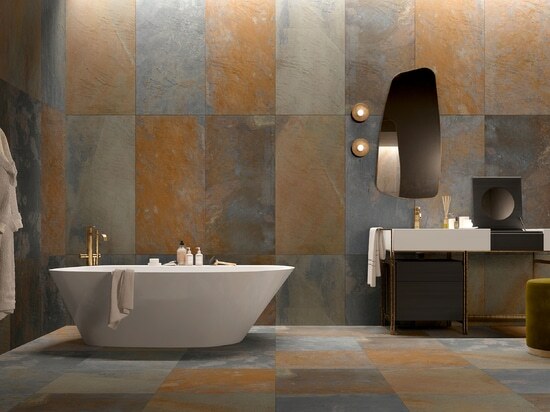 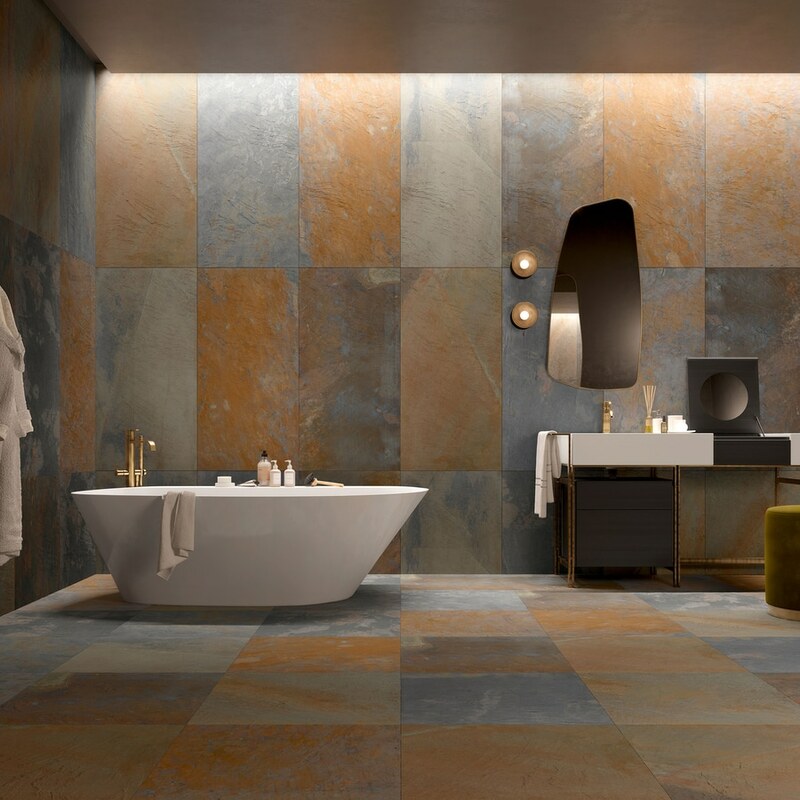 Emperador Brown: The effect of natural stone enriched with color complete space with strong emotions. 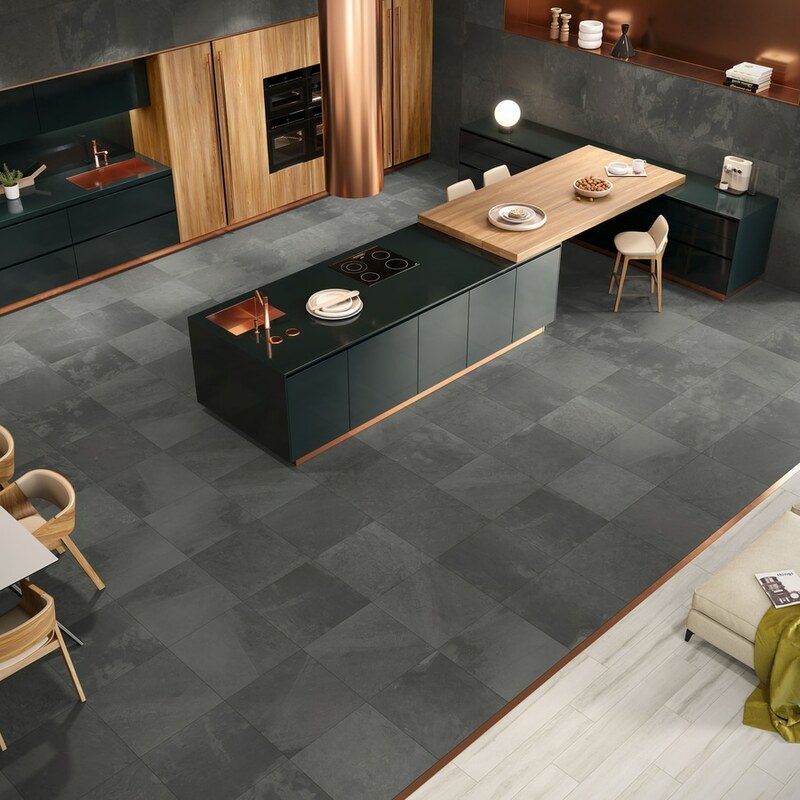 Available in 4 colours - Mist, Smoke, Fog and Carbon - and 4 sizes - 60x120, 60x60, 45x90 and 90x90cm - the new Elements collection combines the technical quality of the raw materials with aesthetic elegance. 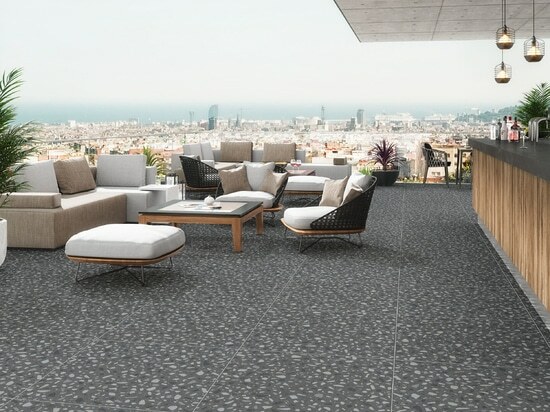 A minimalist collection that personifies urban design for indoor and outdoor spaces. 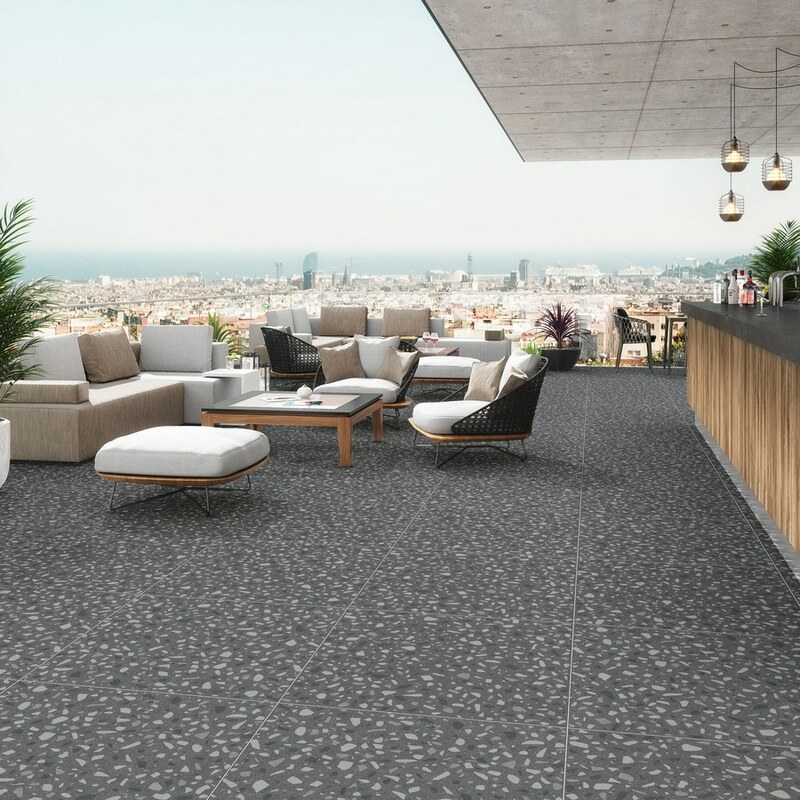 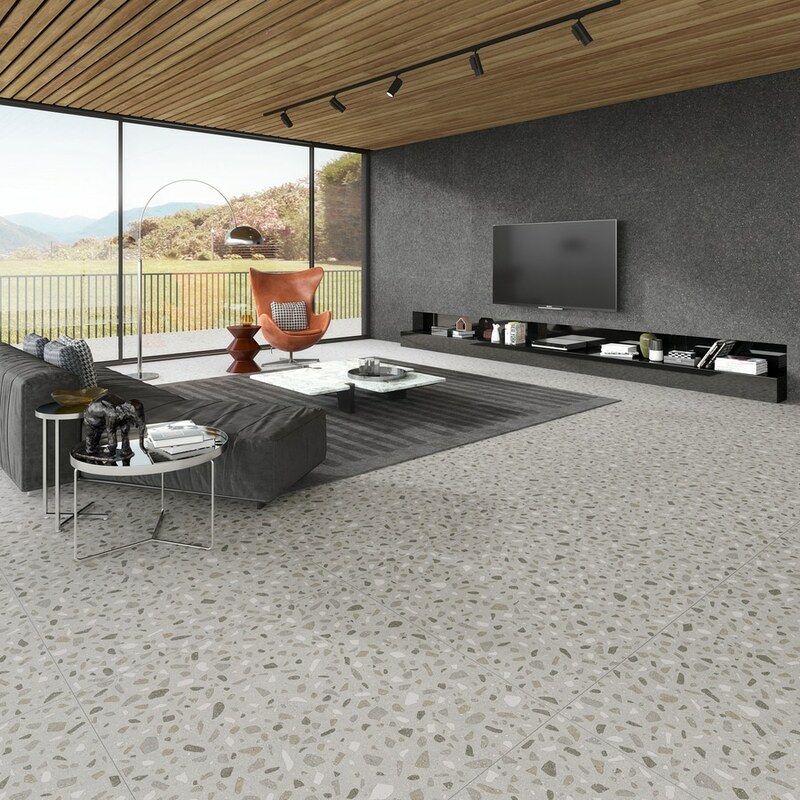 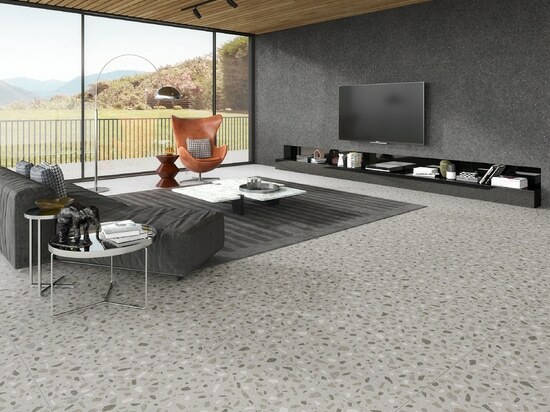 Recreating the effect of natural stone, the new Slate collection combines character and technology in a sober, intense and timeless collection for indoor and outdoor spaces. 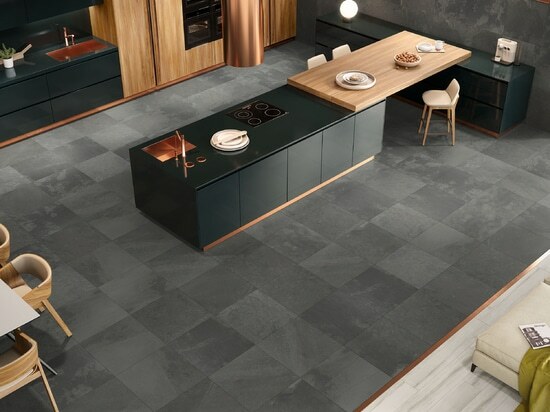 Available in several colours and 4 sizes: 15x15, 30x60, 60x60 and 60x120cm.